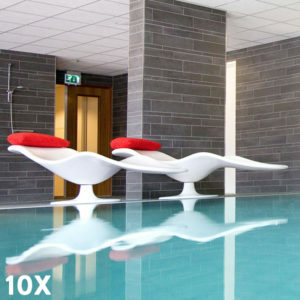 WellCome Wellness strives for a small number of members and visitors so that there is enough space for everyone. The sauna creates a truly relaxing private atmosphere where you can enjoy a relaxing visit to WellCome Wellness in peace. At the reception various bath and scrub salts are sold that you can use during your sauna visit. Swimwear is not allwoed when visiting the sauna. The sauna is located in a separate room, separated from the swimming pool. We ask you to wear a bathrobe and slippers in the public areas (the corridor and the swimming pool). It is possible to rent a bathrobe, slippers and towel at the reception.